When it comes to Black Friday, most people seem to fall into one of two groups. Some people love the thrill of looking for a good deal, being one of the few who find a $300 LCD TV, and even standing outside in the cold at 4 a.m. Others think the whole idea of Black Friday is overhyped, materialistic or just pointless. 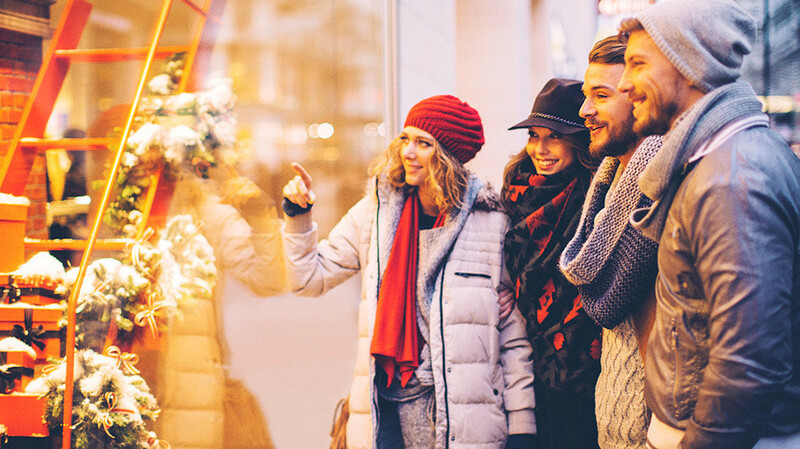 Learn How to Manage Your Money Wisely This Holiday Season. Order Financial Peace University Today! Cyber Monday is the Black Friday of the internet world and occurs the Monday after Thanksgiving. You can find a lot of good deals without having to camp out in a parking lot all night or get run over by a lunatic parent looking for an Elmo doll. If you’re over the crowds and the madness of Friday, then Cyber Monday might be a good option. Seriously, just relax. Remember, this is just stuff. Ask yourself this question: Two years from now, will I even remember what I’m buying? Better yet, will the person you’re buying this item for still be using it? Perspective is your friend. If you don’t get that computer, television, or that game console, it’s not the end of the world. Don’t get so caught up in shopping and finding a deal that you lose sight of why you’re shopping and giving gifts in the first place. 5. Don’t spend money you don’t have. This might seem like common sense, but a lot of people just don’t get it. You can’t afford an item if your only option is to put it on a credit card. What might seem like a good idea in December becomes an awful idea in January when all the bills start rolling in. Don’t buy stuff you can’t afford! 6. Venture out later in the day. All the heavily promoted items will probably be gone, but you can still find pretty good deals while avoiding the crazy crowds that pile in when the doors open. If you’ve watched the news in the last few years, you know it can get pretty dangerous when the doors open at some of the larger retail chains. If you choose to go first thing in the morning, wear a helmet and be ready to throw a few elbows. 7. Don’t shop for yourself. This should really go without saying, but it’s amazing how many people go out to do some Christmas shopping and end up buying something for themselves! Really? Is that what Christmas is all about—buying a scarf for yourself? Bottom line: Stay inside your budget and have fun! If you can’t have fun thinking about ways to give stuff to other people, then maybe that’s a sign that you’re too focused on the stuff, not the people. If you’re determined to venture out into the chaos of Black Friday, then make a plan and stick to it. If you go out there without any idea of how much money you should spend, then you’ll probably walk away with a bad case of buyer’s remorse. If you play it right, you can save some money without getting trampled by the crowds and without wasting too much time and effort.